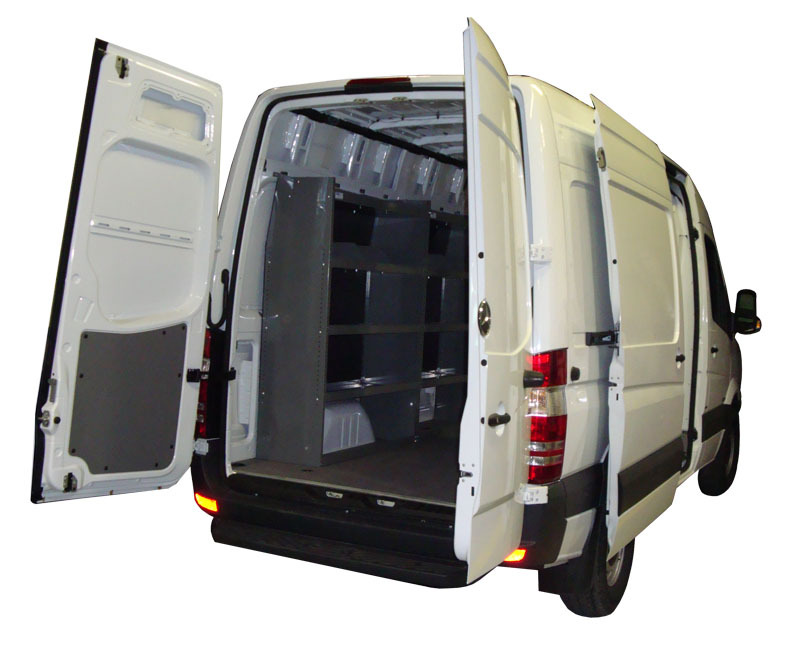 - Shelves, Small Parts, Tools Storage for Sprinter Low & High Roof Vans. - 4 Fully Adjustable Shelves, 4 Dividers. 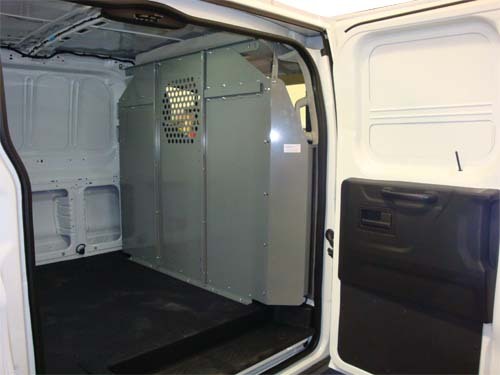 - Shelving Unit contoured to fit your van. 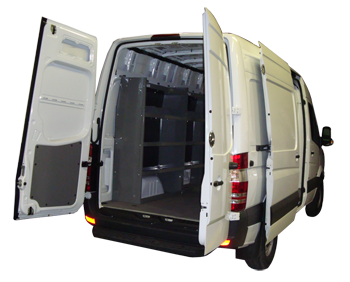 - Plastic Back Panel to keep your stuff secure. Mounting Hardware included. Set of 2 Shelves ships in 4 separate boxes.